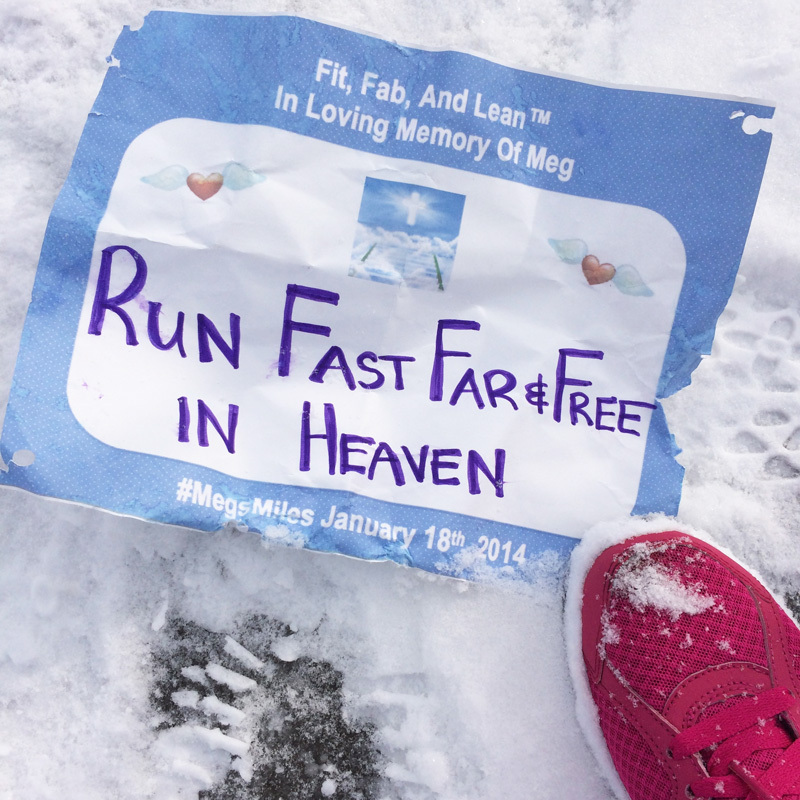 Photo taken January 18, 2014 before our #MegsMiles run. I’ve spent the last few days consumed with a woman I’ve never met. Until this week I had never heard of her, or her road club for that matter. However when I found out that Meg Cross Menzies was hit and killed by a drunk driver during her morning run, just 1 mile from her home, my heart just sank. It was fast and horrific. And then throughout the days that followed, I began to wonder, what was she thinking during her run? Was she happy that day? Burning off steam? Was she dreaming of the Boston Marathon finish? She was training for it. Was this a tough run where her legs cramped up? Or was she enjoying good momentum and in the zone? Maybe she was thinking of her three children. Or an upcoming dinner date with her hubby. 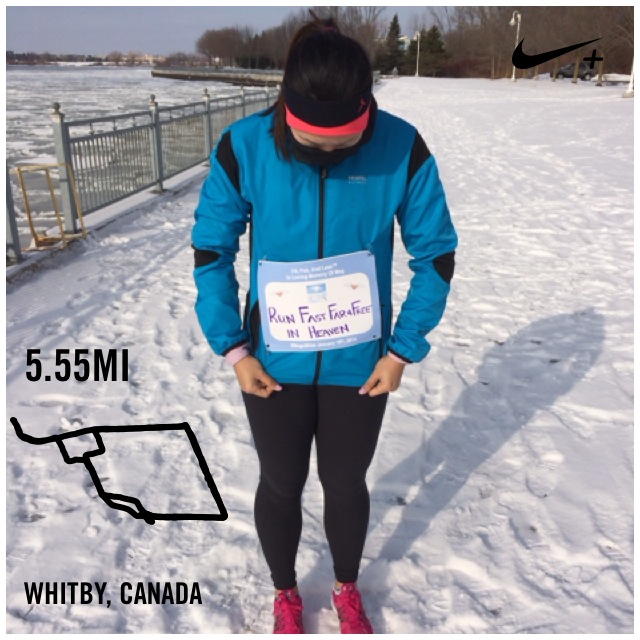 Perhaps she ran to let her mind rest, and that’s what she was doing, not thinking about much, just enjoying the scenery and that feeling of pain and perseverance that so many runners get addicted to. Did she know she was about to be hit? Did she have a split second where it registered she was in trouble? But just like after the Boston Marathon bombings, today I put on a bib to support and honour those suffering from a needless tragedy. The victim, the families, the community. Thank you to my friend Rebecca who helped me with these photos. I think as runners we do this to show support. 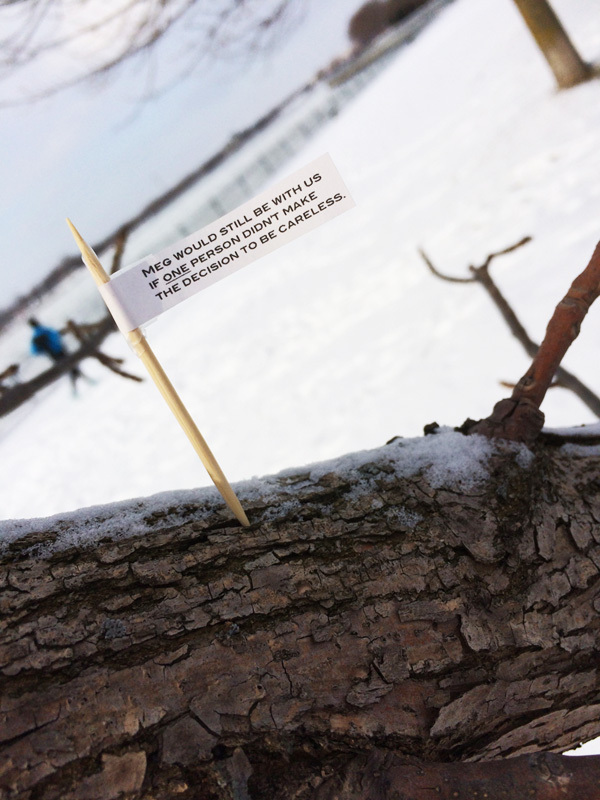 I think we do this because we all know the pain and heartbreak of losing a loved one. That feeling is universal. 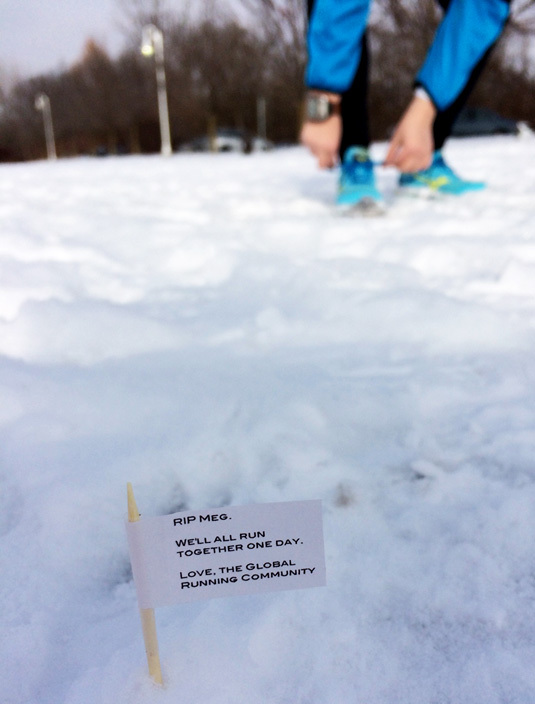 Today I ran for Meg. What was she thinking? No one can answer that. There’s an endless amount of answers to that. To Meg Cross Menzies, may you rest in peace. 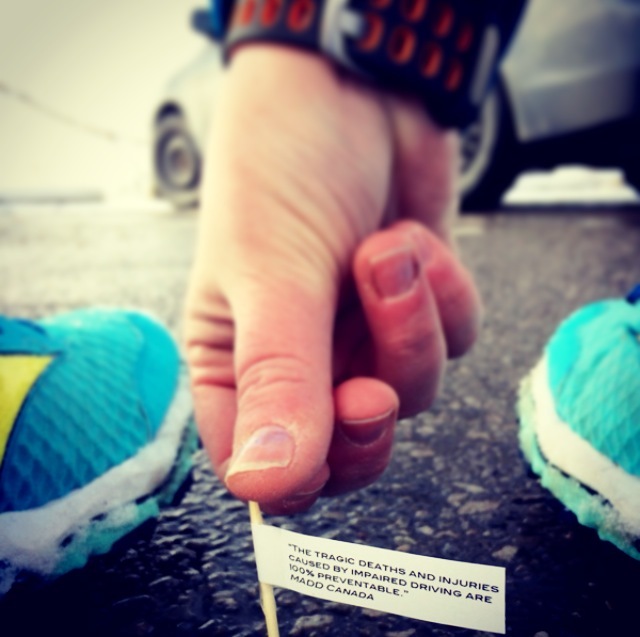 There are instructions on Meg’s Miles on how to participate in the virtual run. You can pin your location on a global map and also input your miles and afterwards there will be a global tally. If you’d like to raise money for Scott, Meg’s husband, you can contribute here by buying a t-shirt.